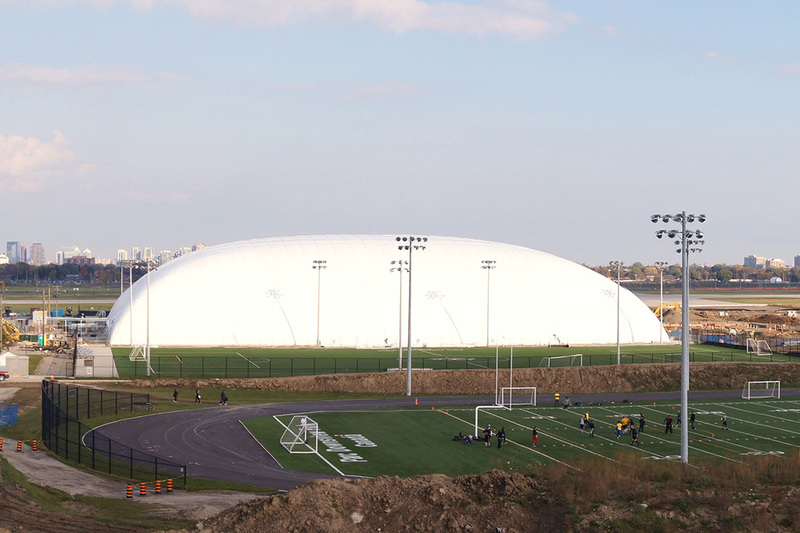 The dome was built above an existing artiﬁcial turf soccer ﬁeld. 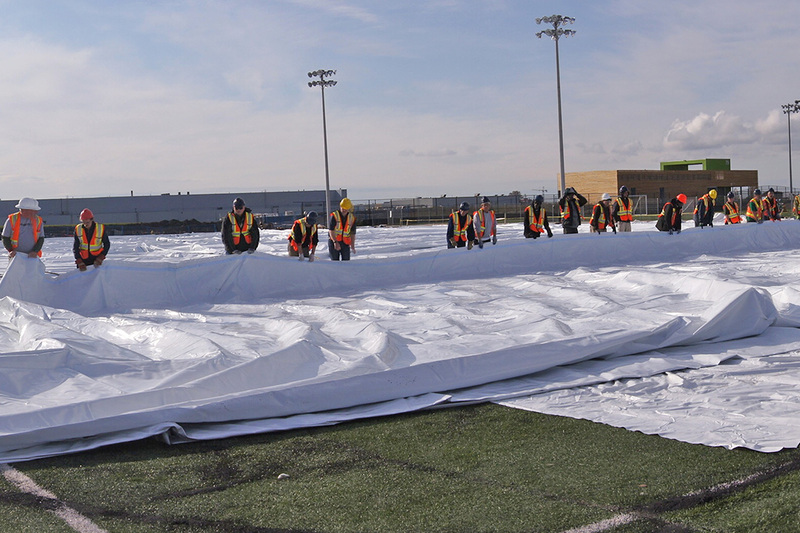 The entire ﬁeld had to be protected and the edges rolled back on all sides to facilitate new construction. An adjacent soccer ﬁeld remained in use throughout the construction process. Public access and safety were key concerns for the Client. The site was very restricted due to existing fencing on three sides and the soccer ﬁeld on the other side. The south boundary fence was only a meter from the edge of the existing turf. These challenges were overcome by detailed site planning, careful site management and attention to detail with regard to public safety and the operation of all construction equipment on site. We closely monitored the movements of construction equipment close to the public areas and always used ﬂagmen when required. There were no accidents or incidents recorded with respect to members of the public or construction staff during the course of construction. Excavation, backﬁll and haulage work was done using specially selected equipment which was smaller and lighter than would usually be used. This allowed us to avoid placing an excessive load on existing ﬁnished surfaces and to work in relatively conﬁned space. Construction activities and dome erection were completed in less than two months.